Is your toddler starting to climb out of his crib and scare you to death in the middle of the night? 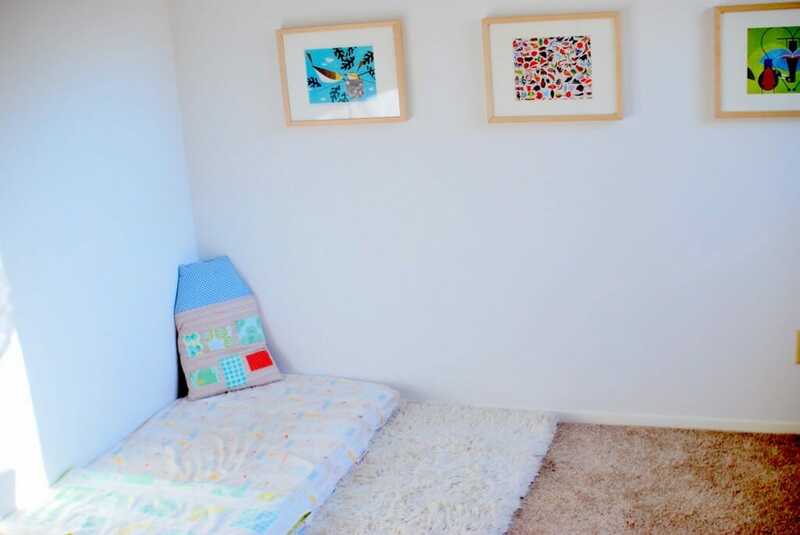 It’s probably time to ditch the crib in favor of a simple mattress-on-the-floor set up. If you already have a spare mattress in the house then go ahead and use that but if not, a crib mattress will work just fine on the floor until your child outgrows it. When ditching crib sheets for new linens, invest in sheets that your child won’t outgrow quickly. For example, choose solid colors or modern patterns over Disney princesses or Ninja Turtles. Hopefully your changing table was already a dresser re-purposed to be a changing table that you can simply return to it’s original status. Even if you opted for a traditional changing table, you can still use it as a dresser (with a few cheap storage bins added). You can also use it to organize some of your toddler’s toys, like the ungodly amount of stuffed animals he has managed to accumulate in just two years. If you chose a really baby-ish color for the walls then it’s probably time to spring for a can of paint and switch to a color that will age nicely with your child. You can also swap out baby decorations (like that framed sonogram) with photos of your rambunctious toddler doing the things she loves most. You can even add some affordable wall art that displays your child’s favorite character. This is a great, cheap option that can be removed when your toddler outgrows that particular faze. Toddlers are busy people and they need a designated space to get their work done. 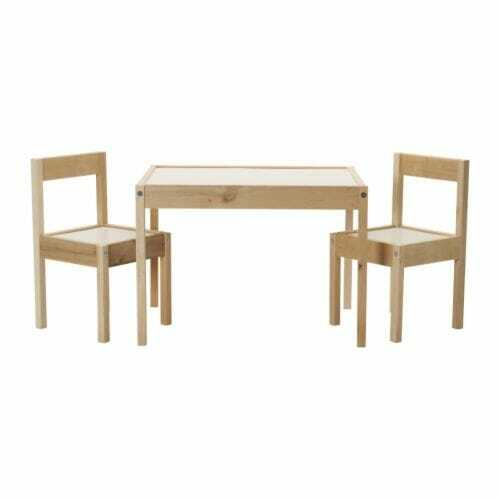 There are plenty of pint sized options out there — one of our favorites is this $20 table and chair set from Ikea. Do you have any additional tips for making the switch from nursery to big kid room on the cheap? Tell us about it on Facebook.